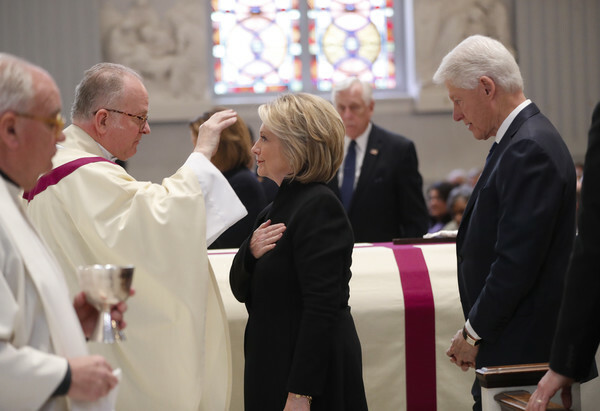 Hillary and Bill Clinton accompanied U.S. Representative Debbie Dingell to her husband’s funeral. 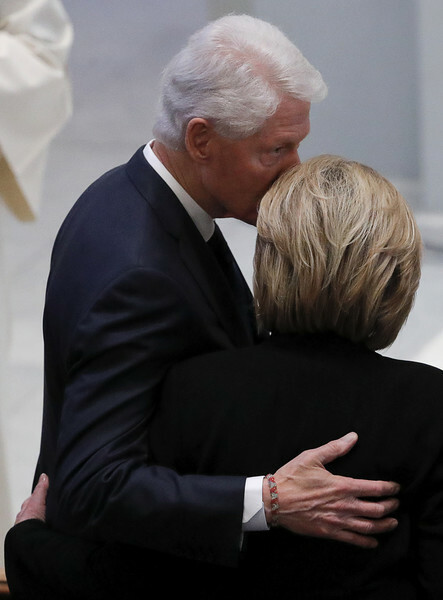 Bill Clinton delivered the eulogy. 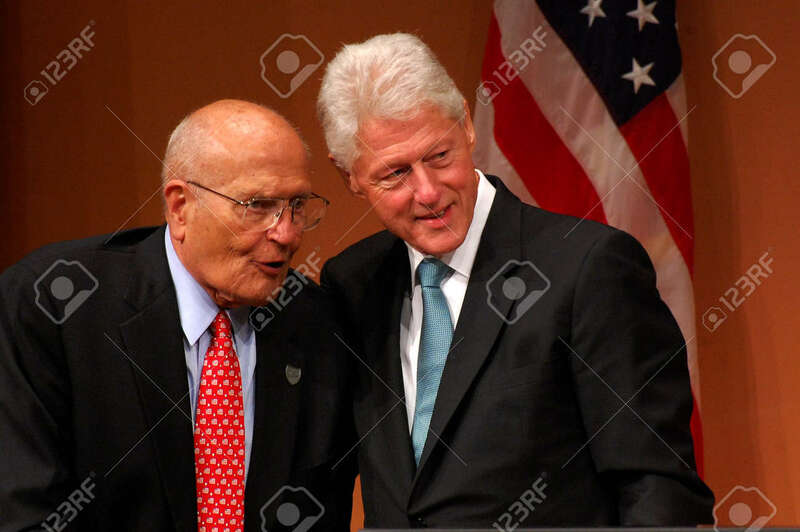 WASHINGTON — A week after his death in Dearborn, former U.S. Rep. John Dingell was remembered Thursday in the nation’s capital by several legislative colleagues and one old hunting buddy — former President Bill Clinton. Dingell, a Democrat who became the longest-serving member of Congress, died last week at age 92. A funeral was held for him in Dearborn on Tuesday and another service began Thursday shortly after 10:30 a.m. at Holy Trinity Catholic Church in northwest Washington, D.C.
A veteran, he is expected to be interred at Arlington National Cemetery on Friday. Longtime Rep. John Dingell was remembered Thursday as ‘one of the greats’ as lawmakers and former colleagues hailed his record-breaking service in the House. The 92-year-old Dingell who died last week, served 59 years in Congress, longer than anyone else in U.S. history. The Michigan Democrat was the longtime chairman of the powerful House Energy and Commerce Committee. Many of the laws forged over the past 60 years reflect Dingell’s influence, former House Speaker John Boehner and other speakers said, and touch on everything from health care to the environment, civil rights and the auto industry, which Dingell fiercely defended throughout his tenure. 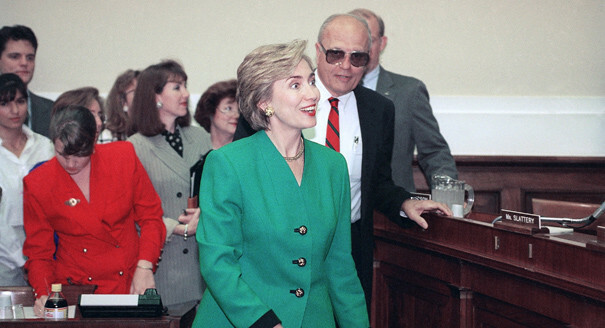 Hillary and I mourn the passing of John Dingell, one of the finest public servants in American history. For nearly 60 years, John represented the people of Michigan with honor, integrity, great good humor, and an unequaled ability to get good legislation passed. There are few major legislative triumphs since 1955 that John didn’t have a key hand in passing. He was a passionate advocate for health care for all and was instrumental in creating Medicare and passing the Afforable Care Act; a defender of the environment who helped pass the Clean Water Act and Endangered Species Act; and tireless champion of civil rights who would often cite his vote for the Civil Rights Act of 1964 as the proudest and most important of his career. His respect for his constituents, his colleagues of both parties, and the institutions of Congress are a valuable reminder today of what a noble calling public service can be. Hillary and I are grateful to have had the chance to work with him, to celebrate his becoming the longest-serving member of Congress in history, and most of all, to call him our friend. Our thoughts and prayers are with Debbie and his entire family. I, our country, and Twitter will miss @JohnDingell’s quick wit, good heart, and profound sense of patriotism. My thoughts are with @RepDebDingell, the whole Dingell family, and the wide community of friends, constituents, and fellow Americans who admired and respected him. John Dingell made history as the longest-serving member of Congress, yet Hillary and I will always know him as a passionate and tireless advocate for ordinary Americans—fighting for their civil rights, strengthening their healthcare, and championing their dreams of a better life. While someday a legislator may come along to serve longer than John’s nearly six decades on the Hill, his remarkable legacy of public service will remain unmatched. We’re proud to have worked alongside him, and we will always treasure his friendship. We wish John, Debbie and their entire family the very best.